How are the edits of our Wedding/Event Photos coming along? JPG estimates delivering wedding and special event photos can take 6-10 weeks. Videos take 10-15 weeks. Engagements take 3-5 weeks. Our busiest season, where releasing events take the longest due to high volume, is May through January. 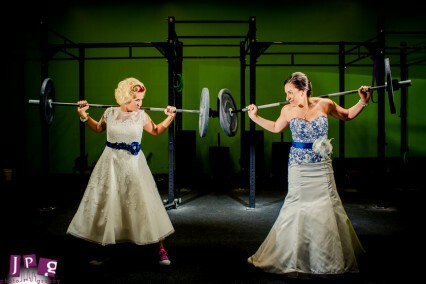 Kelli-Kristen sharing a crossfit moment on their wedding day!